Was April 2013. That was the month and year I kicked off Oro Expeditions. It was also the year I ended a 30 year career driving a truck across this great country. It was kinda funny and ironic how that all ended and maybe I will tell more of that story someday but for now I am going to start this “nutshell” with a beginning instead of an ending. The first Expedition kicked off without glamour. I gathered up all of my basic camping gear along with a weeks worth of food and plenty of clean clothes. The last thing to be loaded into the “Nugget Buggy” was everything I owned to prospect for gold. It was a short list. 2 5 gallon buckets, a short-handled round pointed shovel, a home-made 1/2 in. classifier, and my lucky gold pan given to me as a gift for joining a famous gold club. The last thing on the list was the directory of all the places in the US this club had the rights to prospect and mine for gold. On the 14th of April, 2013, early in the afternoon, two things happened at the same time. I pulled out of the driveway in western Maryland to begin Oro Expedition 13, a dream of mine for sometime come true and at the same time on the same day a cute little puppy was born that would drop into my life 7 months later in central California during a Christmas blizzard. I spent 13 months on the gold trail that first year with only one 4 day stay at the house for my wife’s birthday. I traveled to quite a few south-eastern states including North Carolina, Georgia, and Tennessee all of which were abundant with the shiny yellow stuff along with numerous different semi precious stones of all colors and shapes. 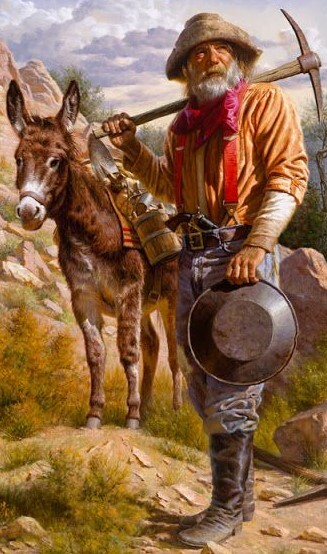 After many rain filled days spent working the small streams of the east my operation was able to move to the eleven western states in pursuit of much larger gold and much more plentiful gold. Starting in Colorado and working my way across to Oregon I was able to prospect and find gold every time I crossed a state line. Landing in southwest Oregon and then working my way south as September turned into November, I followed the gold trail to central California high in the Sierra Nevada. The end of one year and the beginning of a new one also felt like something new for Oro Expeditions was about to start as I made my way back to Maryland in late January of 2014. I’m not sure where to start with the “now” part of this story so I will begin with what I know about my physical well-being and how it may or may not affect the 2017 gold and gemstone season and beyond. I have had a history of back trouble since my early twenties when I was involved in a serious fall from a carnival ride I was working on. Then in 2001 I was struck by lightning and of course the back took the worst of it. Then back in 2006 I injured the lower back bad enough I couldn’t walk or sit up straight for almost a week. Once again somewhere around 2015 while helping a friend I blew multiple disks out and found out what lifetime chronic pain feels like. I have been on a pain program for over a year and the meds I use to get pain relief work well. These are meds I will be on for the rest of my life unless something better is invented. The use of cannabis is a large part of my medical battle with pain along with other problems that use letters to describe them. THC heals them all. My right shoulder was recently operated on to remove bone spurs and other fun stuff like shortening my collarbone and relocation of my bicep muscle. The good news is it is healing nicely and will be ready for the coming season. Once again I regress. Back to the season at hand. I look ahead to the 2017 gold and gemstone season and I see an Expedition that could be the biggest one yet and also one that could be worthy of a spot on one of the reality TV channels. The plan includes multiple locations in the lower 48 along with plans for at least 1 trip up north to the Yukon and interior Alaska. Thanks to the arthritis in my back it might be my last chance to see the Land of The Midnight Sun. Something I want to focus on this year is a program that involves teaching people, especially children, how to prospect and pan for gold. We will be promoting this wherever we may go and will be posting locations and dates as early as possible. If you check the upcoming schedule we will be posting and we are in your area you will be able to come hang out with us in Gold Camp and learn the basics of finding the shiny yellow metal. We will be focusing on creating two permanent spaces which will allow us to work year round depending on the season. One will be located on our desert claims located in central Arizona. The other will be somewhere in the northwest with possibilities in Canada and Alaska. Returning back to a plan from 2013 and the first Expedition, I would like to have the whole north south program located in the lower 48 states with future Expeditions expanding northward and also world-wide to exotic locations like “down under”, and also South America. Big ideas or BIG plans to be turned into reality? You decide. For me and my lovely wife we believe it is all doable and more. Here is another quote from the article: “New Hampshire Department of Environmental Services says these processes stir up too much silt and mud, “releasing fine sediments back into the stream” that can harm life in the waterway.” Flat lazy water is where mud and silt covers the bottom, rivers on flat land, swamps, ponds and lakes is where you would find this condition, this is not at all ideal for gold dredging. We don’t dredge here. What is ideal is a river that drops at least 10 feet per mile which means faster moving water, silt and mud does not settle in these areas for us to dredge up, we need to dredge in gravel, rocks where only the heavy materials, minerals like magnetite, hematite, garnet and gold will settle, the lite materials have already been washed away by nature. A new bill has been created to ban all forms of mining in Oregon. They are even declaring it an emergency to pass this ban. Modifies area where moratorium on mining using motorized equipment applies. Exempts certain mining operations from exclusion certificate requirements. Operative January 2, 2019, excludes certain upland placer mining operations from moratorium and requires certain upland placer mining operators to hold operating permit. Requires motorized equipment used for certain upland placer mining operations to be operated only during certain hours. Punishes upland placer mining operation outside certain hours or without permit coverage by maximum of $2,000 fine. Establishes permitting requirements for motorized in-stream placer mining. Requires Director of Department of State Lands and Director of Department of Environmental Quality to enter memorandum of understanding allowing Department of Environmental Quality to issue certain removal fill permits. Authorizes Department of Environmental Quality to issue consolidated water quality and removal fill permits for motorized in-stream placer mining. Places certain restrictions on motorized in-stream placer mining. 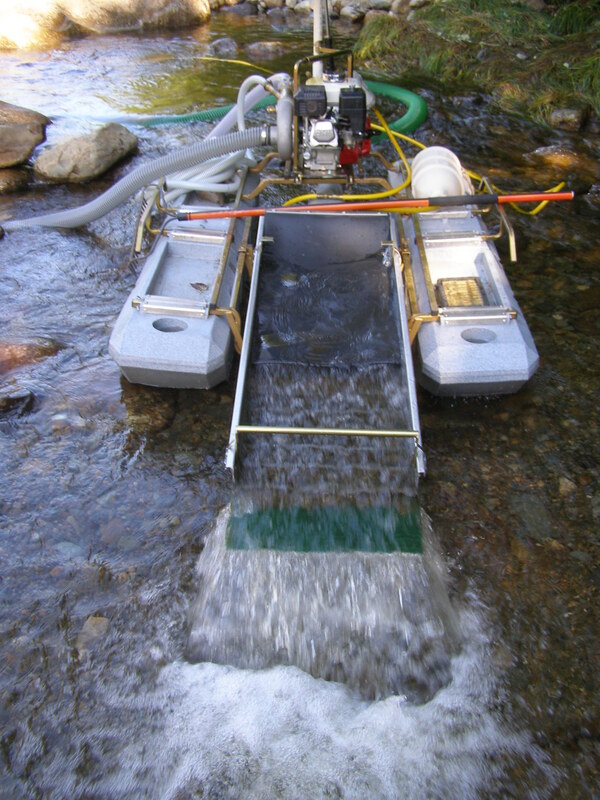 Punishes motorized in-stream placer mining without permit coverage by maximum of $2,000 fine. Requires motorized equipment used for motorized in-stream placer mining to be inspected at aquatic invasive species check stations. Provides that motorized in-stream placer mining permitting, use restriction, inspection and penalty provisions become operative January 3, 2021. Requires consultation to determine whether state and federal mining programs can be better coordinated. An emergency? You must stand up to horrendous ideological bills like this or be steamrolled by their hatred for public lands, small miners, fishermen, hikers, hunters and property owners. We urge you to read this bill and oppose it. We also urge anyone in Oregon to attend the public hearing this coming Monday at the State Capital in Salem. Oregon, rise up and defeat this tyrannical bill.